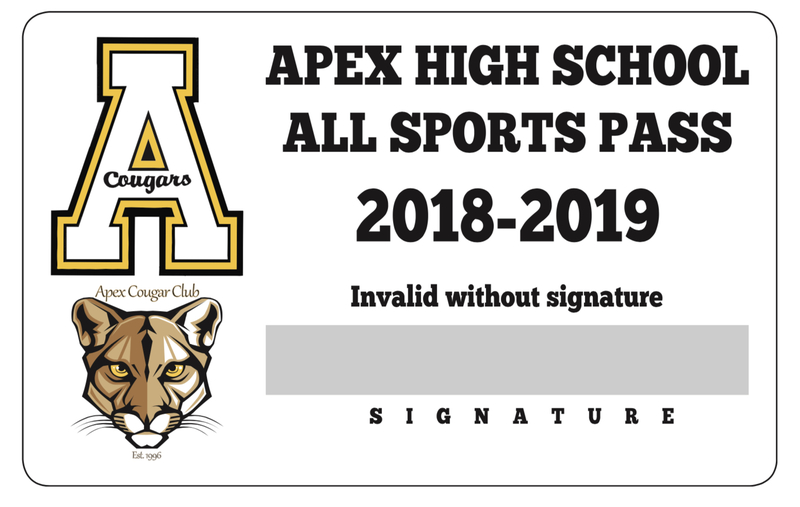 Anyone who ordered a sports pass online or at a recent parent team meeting can pick up their pass(es) at the Apex vs. Broughton football game Friday, Aug. 17, 6-7 p.m. in front of the main stadium gate. If you’re interested in purchasing passes at the game, you may do so during this time. Purchasing an Apex High Sports Pass is the most economical way to enjoy and support Apex High athletics. **The Broughton game is an endowment game; sports passes are not accepted at this event. The cost is $7.